Cruiser Safaris, South Africa Sable hunting package. 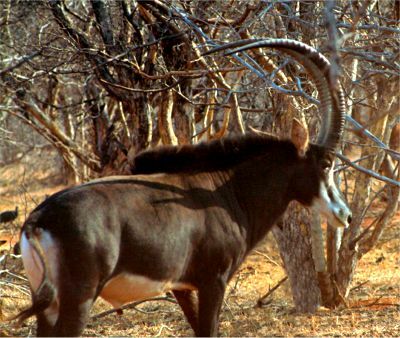 The Sable is one of Africa's most iconic species. With their scimitar horns and pitch black coats they rank as one of the most striking of all antelope on the continent. 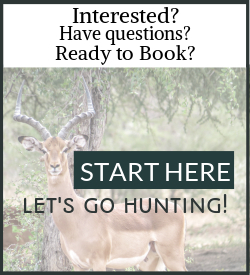 NOTE: A discount of 10% will be taken off the listed trophy fees of any other animals taken during this hunt (excluding Nyala, Bushbuck, Buffalo and any Free State animals). Additional trophies can be added at a discount of 10% off our regular Trophy Fee Rates (excluding Nyala, Bushbuck, Buffalo and any Free State animals). Daily Rates are included in our Sable Hunting Package. Cruiser Safaris safari hunting Terms of Business apply to this and all of our hunting packages. Use this Inquiry Form to get started.